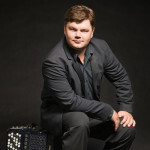 Amici is pleased to feature World renowned Russian accordionist, Alexander Sevastian in our upcoming concert! Alexander Sevastian is an acclaimed soloist, as well as member of the prestigious Quartetto Gelato. Sevastian has toured the world both performing and recording. He is a winner of several prestigious competitions, including: Coupe Mondiale International (2007), The Oslofjord (Norway 1998), Cup of the North (Russia 2000) and Antony Galla-Rini (USA 2001). Alexander is a featured soloist with several leading North America symphony orchestras, including The Toronto Symphony. Q: What do you think of the Mother Russia program? Do you have a favorite amongst the composers we are featuring? A: I think it’s a very nice project, and it was kind of unexpected when I was asked to do it because there is a strong Russian community here in Toronto but Russian music doesn’t get played very often in Canada. That’s my opinion. Especially the selection of the composers who will be presented at the concert, as far as I know, it’s a very rare opportunity. 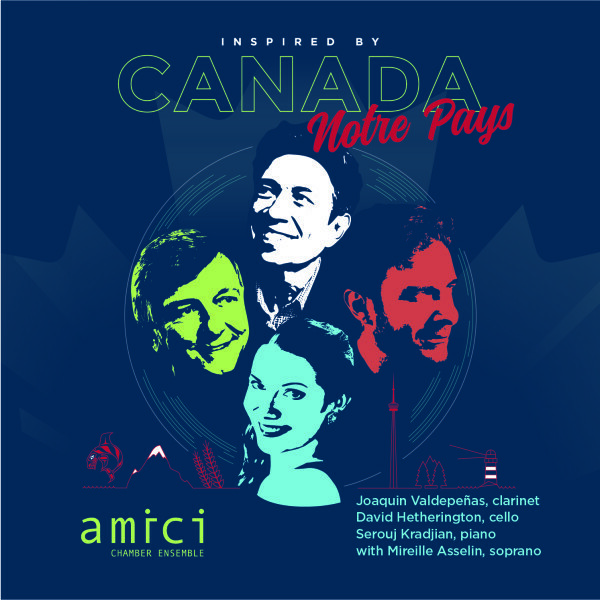 I think it is a premier of several of these composers in Canada. I’ve heard their music in Russia, but not here in Canada, so that’s a big surprise. My favorite composer who is featured in this concert is Sophia Gubaidulina who is kind of a living icon of contemporary music right now. I know her personally. I got the chance to meet her twice in the past. The first time in the Norway about 17 years ago and the same year I met her in France and I was a participant in her masterclass of her music. I played pieces for her. This piece that David Hetherington and I will be playing, called In Croce, I played while she was in the audience. It’s one of the best examples of the chamber repertoire of accordion and other instruments. I really like that piece. Q: I read that In croce by Sophia Gubaidulina was originally written for Bayan. Is there a tonal difference between Bayan and Accordion? A: Well it was originally written for organ. It was written for organ and cello. And then a Swedish bayan player, Elsbeth Moser-Vagnsson did a version for bayan. That version is approved by Sofia Gubaidulina and in fact, my accordion is bayan. That’s what my instrument is called originally. Accordion is a more common name but bayan is more specific name. It is a chromatic button accordion called bayan. Also the main difference is that bayan is only used in classical music because of its tuning. It is a very dry tuning, there no treble sound that many listeners are used to, that accordion’s have. Accordion has a, you know, shaky sound. It kind of always seems out of tune. Bayan doesn’t have that sound. The tuning is very dry, the way piano or any classical instrument is tuned. So there is no shaky sound to it. The sound is different, more powerful in my opinion and more appropriate for classical music. I play bayan. In the concert I will be playing bayan. Q: You have toured all over with Quartetto Gelato. What do you find most rewarding about touring and working with a chamber group? A: Well in my opinion, the most rewarding is to travel and to see the world. I came to Canada about 15 years ago, and I was lucky enough to join Quartetto Gelato almost right away. I have been everywhere in Canada and everywhere in the United States and played in some world famous concert halls in front of many people. The most rewarding thing is to prepare a good program and performance either with a symphony orchestra, or a very famous chamber music series and get many people to listen to you, and maybe get some radio or tv footage out of that performance. That’s what is motivation to practice, that’s what is the most rewarding thing. Plus, you get to travel to some fun places like the Bahamas or Mexico. Quartetto Gelato had two tours of Russia. I’ve to Asia several times. I’ve been to exotic places like Guatemala and that was very rewarding to me.